Shylock has always divided opinion. Is he a villain or a victim? Or is he someone even more intriguing? There is no doubt Shylock is hard done by in "The Merchant of Venice", but does he bring it on himself? As one of only two Jewish men in the whole of Shakespeare, he has been portrayed in ways which reflected how Jews were popularly viewed - from comic villain in Shakespeare's day to a victim of racial discrimination nowadays. This award winning, poignant, powerful yet humorous performance - from the company that created the Olivier Award winning "Morecambe" - brings us Shylock afresh in one of the most globally successful solo shows of the last decade. Guy Masterson, perhaps the world's leading exponent of the form, demonstrates its brilliance, honouring one of Shakespeare's finest creations from one of his greatest plays in a performance that celebrates the beauty of language, the power of history and the magic of theatre! Having recently finished reading Ron Rosenbaum's book The Shakespeare Wars, which contains some fascinating and detailed analysis of the difficulties and joys of Shylock and The Merchant of Venice, I feel quite well-informed as I sit waiting for the show to begin. The set is simple: a table, chair, large trunk but also five drops of fabric at the back of the stage adorned with many variants of the word 'Jew': 'Juda', 'Juif', the list goes on, encompassing a huge number of different languages. The very presence of those words resonates with a realisation that our opinions of the character of Shylock have been irrevocably changed by the events of the Second World War and so our responses to him and Shakespeare's play are unlikely to be straightforward. The play begins with a deep, ominous sound that vibrates the theatre, and suddenly Guy Masterson is there on stage, launching immediately into one of Shylock's speeches. From here the play takes the clever path of making the only other Jewish character in Shakespeare's work take on the role of narrator: Tubal, a 'wealthy Hebrew' of Shylock's tribe, who cheerfully admits to only having eight lines, but who assures us that his role is crucial. And indeed this turns out to be true as Masterson as Tubal takes us on a rich, sometimes uncomfortable, often poignant and always skilful journey through the intertwining histories of Jewish persecution, Shakespearean characters and the actors who have performed them. We are reminded that originally Shylock was played as a caricature, a villain with few (if any) redeeming features, but the play also gives us a fascinating history woven into the evolution of the character, and it is here that I feel that Masterson is at his most affecting. Telling the story of the 1190 massacre of Jews in York, a terrible parallel is raised between this atrocity and the events in The Merchant of Venice, in a way that I had not appreciated before. The horror of the situation is brought fully to life with some simple lighting and Masterson's understated yet powerful responses. He is similarly skilful at a later point in the play when he allows his silence and the facts he has presented us with to provoke a deep sadness at the repeated ill-treatment of our fellow humans. Aside from the astute observations on the way Jews have been perceived and treated through history, the play is also a wonderful opportunity to experience the power of a skilled and engaging solo performer in tune with his work. Masterson's ability to switch between characters using a hat, a coat, a voice, or a look means that the action moves forward briskly and seamlessly. While there is the odd stumble over a word here and there, this never interrupts the flow of the performance and Masterson's facility with the language and his sure grasp of the ever-expanding range of characters means that we are able to follow and enjoy the action clearly. We are taken chronologically through Shakespeare's play, experiencing Tubal's crucial scene with its eight extremely important lines in its entirety, at the same time as pondering Shakespeare's leading actors and those who followed them in a variety of major and minor roles (such as Tubal). Masterson is funny and poignant, physical and quiet and through it all we are given a performance that places Shylock in the position created for him by history, by other characters and by our responses to him. I find the behaviour of the other characters in the climactic trial scene suddenly much more vicious than I remember, with Shylock's forced conversion to Christianity a stark reminder that things had changed very little for him and his people since 1190. The final scene of the show, aided by some lovely sleight of hand by Masterson, makes us confront the consequences of anti-Semitism and the fact that it is seemingly impossible to remove our knowledge of Hitler's final solution from a consideration of this character and this play. That's not to say that this leaves us in despair; rather it makes me realise how rich and varied the conversation is that has been provoked over the last 400+ years, and how very fortunate we are to have such a skilled and passionate team of playwright and director (Gareth Armstrong) and actor as we have here. Study sociology and early on, you'll hear the term "social construction of enemies" - it's jargon, a sanitised term to explain how you demonise a group of people so your group can fight and, if necessary, kill them. Popular culture and propaganda, not mutually exclusive and both packed with imagery and jingoistic language, are used de-humanise potential enemies then, once you no longer see them as human, the heavy artillery - or drones - are more easily deployed. Watching visiting British actor Guy Masterson's Shylock reminded me of these learnings because, at times, it seemed like a lecture but one of the most poignant, powerful and well-developed I've seen or heard. The premise - like the set, sound and lighting design - is simple but used to great effect: Masterson takes Shylock, the Jewish money-lender who, in Shakespeare's The Merchant of Venice, demands a pound of flesh for an unpaid debt, and ostensibly explores how the character has been interpreted during the last 400 years. He questions why Shakespeare created Shylock: was he sticking with stereotypes of his day and writing a villain or was he pleading for greater understanding on behalf of an entire group? If the latter, who was/is the real villain of the piece? To do so, Masterson skilfully blends culture and history - figures from Dracula to Hitler; events as diverse as the Catholic church's Lateran Council and World War II are referenced. The incidents he relates are often horrific, the inhumanity shown to one group by others sickening. It could become overwhelming, but there's some clever comedy which frequently comes via Tubal the other Jewish man in The Merchant of Venice. Masterson plays with language and physical comedy, but never lets it take over. The last time Guy Masterson visited Auckland’s Herald Theatre in 1999 with his solo version of Under Milk Wood, he helped inspire a future classic of New Zealand Drama. A young Toa Fraser had been working on a Fijian story, but after watching Masterson, went in a very different direction. One chair. One actor. Multiple characters. No 2 was born (and Masterson would go on to produce No 2 at the Edinburgh Fringe). It was with this very cool serendipitous footnote in New Zealand theatre history in the back of my mind that I went to Masterson's performances of Under Milk Wood and Shylock, alternating this week at the Herald. Shylock presents quite a challenge: to take on one of the most iconic and fretted about characters in the Shakespeare canon. This is side-stepped somewhat in Gareth Armstrong's text by having Masterson playing an actor playing Tubal, a minor character in The Merchant of Venice, and only catching Shylock himself in glimpses. Masterson is a twinkle-eyed jolly type, who at one moment can be leaping around the stage like a 4-year-old on Christmas eve, and in another summoning incredible pathos as Shylock meets his accusers. He has the easy-listening British stage voice, sucking on the words like treacle. Shylock makes for a dramatically gripping exeprience. There's a whole subset of the Shakespeare industry dedicated to shows from the point of view of minor characters (most famously Rosencrantz and Guildenstern are Dead, and Tim Crouch came here last year with I, Peaseblossom), and Shylock is a worthy contribution. Tubal, as he continues to remind us, has only seven lines in the play. Reading the scene, he's a purely functional messenger role, easy to overlook. But never again. As he tells us, he's the only other Jewish character to appear in all of Shakespeare. 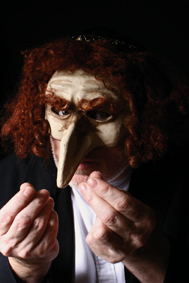 Armstrong and Masterson use the character, and his perspective of the play (insisting that the stage directions are inaccurate, and Tubal would have appeared throughout) to deep dive into representations of Jews throughout literature (from the Holy Bible to Marlowe's Jew of Malta, and the reminder that Shylock would have originally been played with a prop nose and ginger wig), as well as history (a proclamation banning Jews from England meant Shakespeare was unlikely ever to have met a Jew). His major textual insight: Shylock's demand for a pound of flesh began as a joke. All of this you could get on a University level course studying The Merchant of Venice, but not with the charm that Masterson brings to the performance. A clue as to the time frames covered is in this empty stage glaring at us as we wait for the one-man show of the masterful Guy Masterson and his 16th century character. Nazi-like, five white full length narrow banners drop against a black stage curtain painted erratically and accusingly in red and black with all the world's languages for Jew. That's not Shakespeare. But it is Gareth Armstrong's play: Shylock. Yes, go. No, you don't have to like Shakespeare. No, you don't need to read the play first, or understand it. No, it's not depressing, even though it's intermittently poignant and political. You will feel the love of Santa Claus as cuddly Guy Masterson walks on stage and beams at you. Cradling us all in that winning smile, punctuating with irony and jokes, he talks us through what the original Shakespeare's Shylock is about. Poking fun at the Bard, actors, audiences and himself, he briefs us on the role of Shylock's sidekick, Tubal. Assuming the role of both the character and all the actors who played Tubal, Masterson wryly encourages us to feel the agony and the power of performing centre stage, and the impotence of our own lives as less central characters. Masterton eats you up more readily than the kid in the seat in front of me eating her packet of jet planes. Continuing to run the themes of Shakespeare and acting, Masterson introduces more themes around 5,000 years of Jewish racial discrimination, the other hit book - The Bible - as well as lesser human emotions of revenge and bitterness still prevalent in the 20th century. Only a true master can keep an audience with him through the fascinating tour that follows. With only the addition of hat or removing of a coat and the odd wink from Masterson, I am following the dozen or more parts he is playing. I am so impressed with the skill, intelligence, humour and sentiment of this play. Masterson and Armstrong are masters of comic timing, parody and satire. Masterson's heartfelt love for all the flawed aspects of humanity make this a warm and memorable evening. A great start to the Nelson Arts Festival. It's a pity for Nelsonians if you haven't already bought a ticket to his next show. It is sold out. The Shylock of Shakespeare's Merchant of Venice, famous in stage history, is only one among 19 named characters, appearing in only five scenes. Listed simply as "a Jew'', he is, however, anything but simple: sometimes jocular, at other times savage and ruthless; miserly and domineering with a daughter whom he's supposed to love; good at commerce, debating, usury - making money out of lending money - yet doggedly suspicious of his enemies, even when doing business with them. He has, in fact, few trusted colleagues. That's why the one named next to him in the play's character-list is important: Tubal he's called, described as "a Jew, his friend''. Guy Masterson has taken up the cause of these two characters, the only Jews in Shakespeare, and used them to create a semi-documentary, semi-theatrical exploration of the western world's treatment of Jews. It is a unique presentation, enthralling in depth and variety. Somehow, in a thoroughly entertaining medium, he communicates an appreciation of Shakespeare's complex play, the riches of Jewish humour and wit, and the grisly history of persecution Jews have suffered for centuries. In the person of Tubal he presents the history of the underdog in the story of a bit-part player who, like all actors, was unemployed when Cromwell closed the theatres in the 17th century. Some little-known episodes from history are put under the spotlight, in a series of mini-tragedies; but the main thread of the writing follows the theme of Shylock's humanity (undoubtedly present in Shakespeare's text), set against the horribly normal antisemitism of the privileged. Shylock is one of the most fascinating characters in Shakespeare's canon, and one that many great actors aspire to play. 'There's something about the man that grabbed me by the throat and invaded my heart,” as Patrick Stewart puts it. Yet early stage interpretations made of him a one-dimensional villain: the original ruthless Jewish moneylender, with ginger wig and hooked nose. Playwright and original performer Gareth Armstrong tells Shylock's story while exploring the history of both Jewish persecution and changing acting styles, in what is modestly termed 'a glorified lecture'. Actually it makes for an exciting and complete theatre experience. The format is similar to that used by Miriam Margolyes in Dickens' Women (which I reviewed in 2012), simultaneously educational and entertaining. Naturally it demands skill and versatility, but Armstrong has passed his mantle to the right actor. Guy Masterson is superb in the role of actor/lecturer. 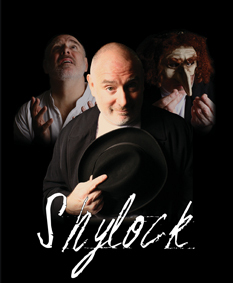 Shylock has become one of the most globally successful solo shows of the last two decades. Although it is as Tubal he delivers his commentary, with wonderfully expressive gestures and plenty of sly humour, Masterson does perform a definitive Shylock as well, by the simple expedient of an added hat. Amazingly, by first reading the story 'pinched' by Shakespeare from a 14th century folktale, then enacting all of Shylock's key scenes, Masterson succeeds in giving us the essence of The Merchant of Venice. The pace is swift but intelligible, and the very appreciative audience is in a constant ripple of laughter. He makes a splendidly convincing Shylock, bringing out the humour and pathos of the man while retaining his strength. I especially enjoy the way he develops the tiny scene with Tubal to demonstrate vividly Shylock's anguish at his daughter's desertion, and her callous disposal of the ring his wife gave him, in exchange for a monkey. Masterson has set this up well with some wry reflections earlier on the difficulties for solo fathers of ethnic minorities bringing up headstrong daughters. It is possible the whole audience is anticipating one particular speech, however. I've never understood how Shakespeare could be castigated as anti-Semitic when he puts into Shylock's mouth one of the most powerful statements against prejudice ever made. 'He hath scorned our sacred nation... And what's his reason? I am a Jew. Hath not a Jew eyes, Hath not a Jew, hands? Organs, dimensions, senses, affections, passions? If you prick us, do we not bleed? If you tickle us, do we not laugh?' It is all there, the common humanity that must never be denied. After Masterson's stirring rendition, we feel nothing but horrified sympathy as the Christian court delivers its 'justice'. Through the retelling of The Merchant of Venice, we also learn the terrible history of the Jewish people, from Pontius Pilate (with lovely Roman accent!) washing his hands as the Jewish crowd call for the Crucifixion, through harassment and oppression to the mass murder of Jews as recently as 1945 because of the Blood Libel, that mad but widely-held belief that Jews used the blood of children in their rituals. The focus though, is on the way the English of Shakespeare's day regarded Jews, and the way they were portrayed onstage, which gives Masterson the opportunity for a fabulous imitation of Shylock played as comic villain, ginger wig and all. These anecdotes of great actors of the past  from Richard Burbage who created all Shakespeare's heroes, to Edmund Kean who determined to play Shylock as more than a caricature  are both amusing and illuminating. In one funny but for me very touching scene, Masterson recreates aging actor Charles Macklin's final crumbling stage appearance. As well as being a vindication of Shylock's desire for vengeance, given the history of his people, this play is an affectionate tribute to the acting profession, its insight and courage as well as its vanity and absurdity. Possibly seen as 'caviar to the general', Shylock has the attraction of a master class for many local performers. 'It was brilliant, though I am a little hard of hearing these days,' says Bernard Esquilant, the 1960s Director of the Southern Comedy Players, adding he has just performed Brush Up Your Shakespeare in his Retirement Village. A hardy breed, these thespians. The Fortune Theatre has provided solid technical support, Masterson simply giving the crew instructions, and the occasional wink, when he wants some variation in the lighting and sound effects, like the subtle enhancement of chanting for church or synagogue, while set and costume are simple and functional. Fine acting needs no more. However much you might love the eclectic, unpredictable Fringe, there are times when we all crave a good solid piece of writing, and a performance that lets you know you're in safe hands. Shylock is such a play. Returning to Edinburgh after a five-year absence, it's written by much-starred actor (and Shakespearean scholar) Gareth Armstrong, but performed here by the equally well-regarded Guy MasterSon - perhaps best known at the Fringe for his one-man adaptations of Under Milk Wood and Animal Farm. As the title suggests, this is an exploration of Shakespeare's Merchant of Venice, but the story isn't actually told through Shylock's eyes. Our narrator is a man called Tubal: a character who, unless you're the most dedicated of Bardic buffs, you've probably never heard of before. He appears in exactly one scene, and is mentioned in precisely one other - but, as Tubal is all too anxious to remind us, he's Shylock's one and only friend. Much humour is made of Tubal's jealous claim to that status, but there's a serious point here too; a reminder of how isolated Shylock's life would have been when Jews in Venice were required to live behind locked gates, surrounded by high walls. In Shakespeare's England, mind you, things were even worse. The Jewish community had been expelled - and one of Armstrong's most striking observations is that Shakespeare could never have met a Jew, at least not one who acknowledged their identity. To reinforce the point, Tubal illustrates how Jews were portrayed in theatre at the time, a grotesque parody made all the more chilling by the humorous relish with which Masterton performs it. It's important context for interpreting the more problematic aspects of Shakespeare's text; and there are other analytical strands as well, unpicking some of the implications and meanings that might pass a modern audience by. Masterson is convincing and commanding as Tubal, yet he also brings an air of homely geniality to the role. It's a combination that ensures the densely-packed script never feels too ponderous or lecturing. More sensitive or shocking moments stand out well amidst the general bonhomie, and he switches adeptly into other characters as the narrative demands, while always retaining enough of Tubal to remind us who's telling this tale. It's a sprightly performance too, bringing visual interest to a relatively bare stage - though three hanging banners, covered with the word 'Jew' translated into dozens of languages, serve as a constant reminder of just what this play is all about. Guy Masterson and Gareth Armstrong deliver a tour-de-force of history, drama and comedy in this one-actor show. Starting with Shylock in The Merchant of Venice, we are taken on a journey that spans both centuries of Jewish persecution and centuries of the play and its various incarnations. What does it mean to be Shylock, at once the villain and the victim, and the star of his play; what does it mean to be any Jew throughout history? This show, written and directed by Gareth Armstrong, takes a look at what Shylock means for his creator, for his audiences then and today, and for the only other Jew in Shakespeares works-Tubal - This is Masterson's role - underlooked in the original, perhaps, only eight lines long: but vital. Tubal is an essential character on this journey, but Masterson flits between roles as the narrative switches from history to theatre and back again. We hear about the slaughter of Jews in York in 1190 woven in with the performance of Barabbas from The Jew of Malta by Shakespeare's contemporary, Christopher Marlowe. The origin of the blood libel slips into a performance of scenes from the Bible. Folklore, theatrical conventions, and the Puritans; superstition, politics, and tragedy. This is compelling material, and with its careful structure, and an actor as skilled as Guy Masterson, it is displayed to the fullest advantage: not a lecture (though it is heavy on the historical information) but a piece of theatre in its own right. Masterson is in complete control, both our jolly guide with plenty of jokes up his sleeves and the angry Jew who has been silenced too long. That's just in his role as narrator. He slips in and out of multiple characters throughout: Shylock, Tubal, Barabbas, Portia, Pontius Pilate, Charles Matlin, Thomas and Henrietta Bowdler, and Hitler, to name a few. Part analysis of Shakespeare's The Merchant of Venice, part statement on prejudice of Jewish people - Shylock is an eye-opening experience about Shakespeare's creation of his 'antagonist' from start to finish. 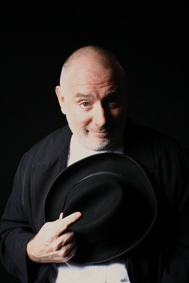 During the performance, Guy Masterson assumes many roles but the most prominent character is Tubal, Shylock's friend and a fellow Jew, who constantly comes to the title characters' defence. Throughout, Shylock's story is discussed and debated with historical references to the personification and persecution of the Jewish community. 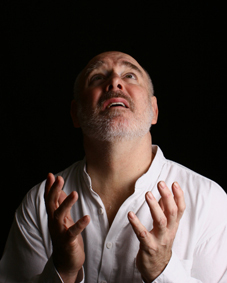 Emotion is woven around this factual production as Masterson depicts the suffering faced by Jewish people for thousands of years - even portraying certain incidents that led to Christians executing Jews. The show also explicitly states and addresses public misconceptions around anti-Semitism, highlighting issues found within the Bible, the common stereotype of money lending and the origin of the word 'ghetto'. Taking its cue from Shakespeare's The Merchant of Venice, as you might have guessed from the title, Masterson does not actually portray the famous Jew - well he does occasionally, but the story is told through the character of Tubal, friend to Shylock, rather bitter about only having 8 lines in the whole play. Somehow, in just an hour and a quarter, the script covers the important elements of Shylock's story in Shakespeare's play as well as 400 years of the play's production and 2,000 years of Jewish persecution. It's a remarkable achievement, but on top of all of that it's also very funny for much of the time. But when we come to the climax of the Shakespeare tale, I've never seen a more moving and sympathetic portrayal of Shylock's final fate in any production of Merchant. Masterson has been playing this part since 2011, and that shows in the confidence in his performance and the slickness of the production. He demonstrates various characters, acting styles and comic turns as well as narrating the various stories and histories in a way that keeps the audience's rapt attention throughout. 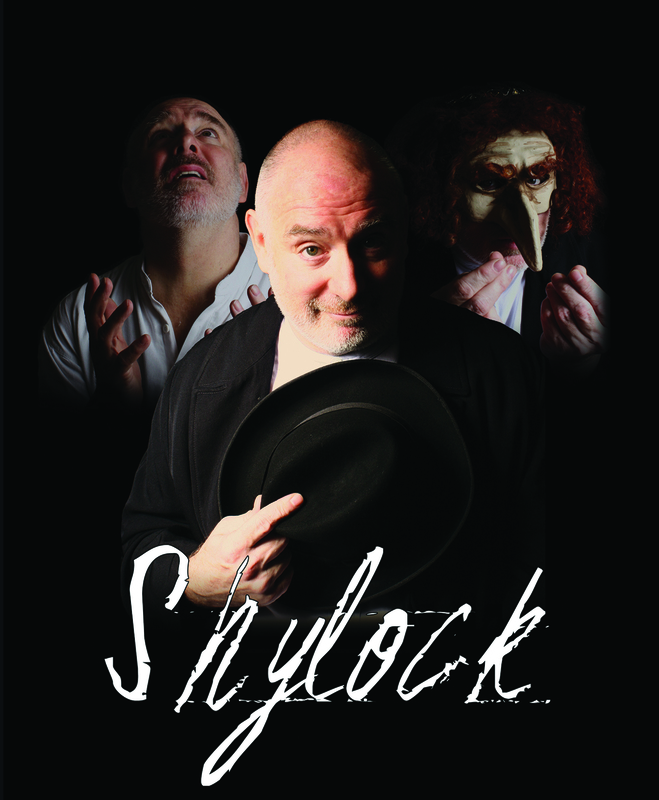 Guy Masterson presents the fantastic, dramatic and comical Shylock, based on the famous character from Shakespeare's The Merchant of Venice. It explores the history of Jewish suppression whilst tracking the legacy of Shylock's character through subsequent Shakespeare performances. Masterson draws our attention to Shylock's best friend Tubal, who, despite appearing only briefly and with very few lines, acts as the central figure. The narrative unfolds around him and covers a tremendously wide array of history centred around Jewish persecution and Shakespeare's play. It is an incredibly ambitious project that may benefit from being a little more concise but undeniably fascinates its audience from beginning to end. ***** performance. Guy Masterson never disappoints and this is yet another excellent performance. I also learnt a lot about the history of the attitudes towards the Jews. A masterful performance full of humour, power and occasional menace. Thought provoking yet always entertaining. Thought provoking and entertaining. A must see! This is one very exceptional actor on stage for ninety minutes, becoming a great variety of characters in that time, and telling much of the story of Jewish history also. It is difficult to avoid the cliché of describing this as a tour de force. 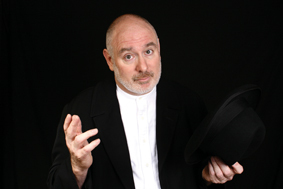 Guy Masterson presents himself at first in the character of Tubal, Shylock's friend, who has only eight lines in The Merchant of Venice, and who is the only other Jewish man in Shakespeare. (Shylock's daughter being the only other Jew) He reminds us that Shakespeare would not have met any Jews - not any who were legally present, anyway, because Jews had been barred from England for centuries, following the upsurge of the blood libel, of the idea of Jews using Christian children in rituals, in the 12th century. This idea spread throughout Europe, taking firm hold in Transylvania, and hence the story of a certain vampire. We are treated to many other historical figures, to references to the holocaust, and to detailed references to Shakespeare's sources, mainly in a much saucier earlier tale, and to Portia's speech in detail and to Shylock's fate. We see the masks that would have been used for early productions, we hear the words of Marlowe's very caricatured The Jew of Malta, and we see how famous actors through history have presented Shylock. 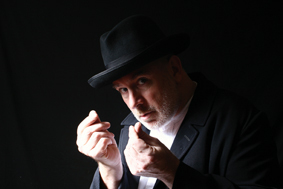 Gareth Armstrong's one-man play Shylock is a powerful meditation on the portrayal of Jews in theatre, presented through the eyes of Tubal, Shylock's friend. The sparse staging and minimal use of props, including a box of Shylock's costumes and a backdrop containing the word "Jew" in several languages, allows the audience to focus on Tubal. Actor Guy Masterson breathes tremendous energy and personality into the character. He engages the audience with a warm and conversational manner, peppered with bursts of intensity and dry observational humour. Tubal spoke just eight lines in The Merchant of Venice, but, as he cheerily reminds us, they are "very important lines!" Even the humorous moments contain a powerful message as Tubal pleads understanding for Shylock as a complex character, as opposed to a racial or religious caricature. The hooked nose, wild hair and cunning eyes of anti-Semitic caricature might have originated on the Renaissance stage; later in the play, Masterson dons a large-nosed Venetian mask and unruly red wig to recite Shylock's famous "Hath not a Jew eyes?" speech. Heart-stopping! In all of Shakespeare there are just two male Jewish characters, both found in The Merchant of Venice. One is world famous: Shylock, the moneylender who demands as his security a 'pound of flesh,' a role that has been played by the leading actors of every age since the play was first performed. The other is Tubal, Shylock's friend, who dwells among Shakespeare's most obscure characters. That's the starting point for Shylock, a one-actor play by Gareth Armstrong that theatergoers can see Guy Masterson perform as part of 'The British Invasion 2011' at Metropolitan Ensemble Theatre, Kansas City. This two-act play is wide-ranging, encyclopedic, profoundly serious and very funny as it intertwines theater history with the perception and treatment of Jews in Britain. Masterson, a charismatic performer with a booming voice and a larger-than-life stage presence, brings a refined sensibility to this piece. That play is dense and complex but Masterson maintains maximum clarity throughout. Masterson plays our host for the evening, Tubal himself, who insists that even though Shakespeare gives him only eight lines, he is nevertheless an important and influential character. Some of the history is sobering: the murder in 1140 of William of Norwich, a youth whose violent death was attributed to Jews and originated the myth of Jews using the blood of Christian children in religious ritual; the York massacre of 1190; the ruling by Pope Innocent III in 1215 that all Jews (and Muslims) should publicly wear a yellow badge, long before the Nazis; and the expulsion of Jews by edict of Edward I in 1290. Oliver Cromwell's decision in 1656 to allow them to return was motivated in part, the play suggests, by the economically depressed country's need for some banking expertise. Tubal also guides us through the history of the English theater, beginning with the observation that - because of the expulsion - William Shakespeare had never met a Jew. Nor did he know much about Venice. And he had a jumbled sense of geography. Early on Shylock was portrayed in the broadest stereotypical way, with a hook nose and ginger hair, depicted as either a clown or a monster. But things began to change when Charles Macklin, an 18th century star of the London stage, played Shylock in an 'authentic' manner by researching the traditional Jewish customs and dress. In the 19th century, Edmund Keane established a new tradition of portraying Shylock sympathetically, as a victim of bigotry. The piece allows Masterson to recreate scenes from The Merchant of Venice, sometimes humorously, and to perform amusing asides about the New Testament, the fate of minor characters and the plight of minor actors. PERTHSHIRE ADVERTISER - 05/11/11 BREATHTAKING! writer/Director Gareth Armstrong's highly acclaimed work on Shakespeare's Merchant of Venice character Shylock - one of only two Jews to appear in the Bard's work - is in effect a play within a play. As Tubal 'best and only friend' of Shylock, Guy Masterson brings to life one of Shakespeare's incidental characters using him as the conduit to document the progress of his doomed and foolish friend throughout Shakespeare's play. Using some shocking history, theatrical anecdote and a healthy peppering of characterised scenes from Shakespeare's classic play, the casting of the Jew as history's perpetual villain over the centuries is laid bare. And in a breathtaking, moving and at times hilarious performance, the conflicts and contradictions of Shylock's life are finally revealed as he seeks his pound of flesh. Villain or victim? You can decide. 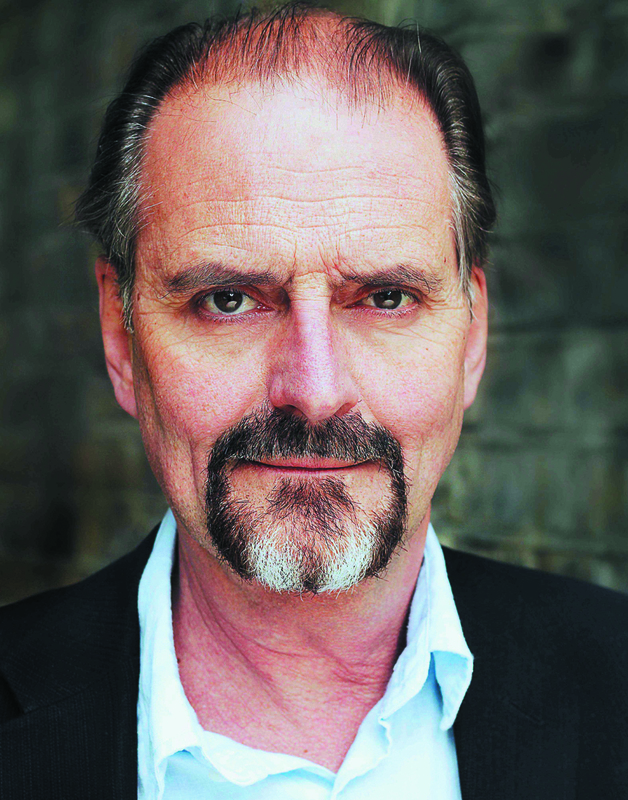 Gareth Armstrong was nominated for The Stage's acting award in 1998 for his solo show on Shakespeare's Venetian Jew, and now Guy Masterson, who directed him then, returns to play the role himself. The differences between the two are instructive, because while Armstrong inhabited the character, Masterson always - deliberately - remains a little outside him. We're so accustomed to gimmicky rehashes of Shakespeare, it's a pleasure to discover an intelligent new take on his work; how curious it is to consider the inception of a character like Shylock, to ponder his place in society and why Shakespeare put him there. 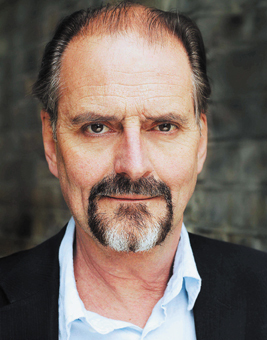 Gareth Armstrong's one-man show, Shylock, does just that. The troublesome character from The Merchant of Venice (one of only two Jews ever to appear in Shakespeare), is explored through his friend (and bit-part) Tubal. Through a series of clever impersonations, Guy Masterson's Tubal also ponders the portrayal of the typical Jew in literature. Whilst re-enacting Shylock's key scenes, he reveals background information about Jewish oppression, citing everything from the Scriptures to Dracula and Hitler. Humour is a key aspect of the play's success despite its heavy subject matter. Scenes detailing the sadness and oppression are left just long enough to affect us and then Tubal jauntily re-emerges grumbling about the fact he's a bit part with a mere eight lines of dialogue. Masterson's performance is fast and furious as he a snaps from one character to another, constantly catching us off-guard. The audience is captivated throughout as he shifts effortlessly from resentful despair to child-like excitement. When you see that Guy Masterson is appearing in the one-man play Shylock, the immediate reaction is that he is playing the eponymous character. That reaction is wrong, however, for, although the play is about Shylock, Masterson's character is Tubal who is Shyock's friend in The Merchant of Venice and who has, as he tells us frequently, just eight lines. The play looks at Shylock and his standing up for his pound of flesh and, through him and performances of Merchant, traces the perception of the Jew through the ages until Shakespeare's time. Because of this, Masterson gets to play numerous parts, including Marlowe's Jew of Malta, Barabas, as well as Portia and others. Those who have seen his other one-man performances, such as Animal Farm and Under Milk Wood, will be aware of his easy rapport with the audience and the physicality which allows him to transform his body into the character he is playing. They will not be disappointed here, for both are very much in evidence. Shylock delivers a serious message but with a light touch and Tubal's good humour and ready smile draw the audience in. They warm to him and feel for Shylock, his friend. Storytellers have always been our window on the past, the troubadours of history were welcomed at everybody's door because of the news, they carried. This is not the case with the Jews since the time of Christ . Playing to an absolutely full house, Guy Masterson takes us on an amazing journey through the history of anti-Semitism using the vehicle of Shakespeare's Shylock and narrated by Tubal , Shylock's only friend. 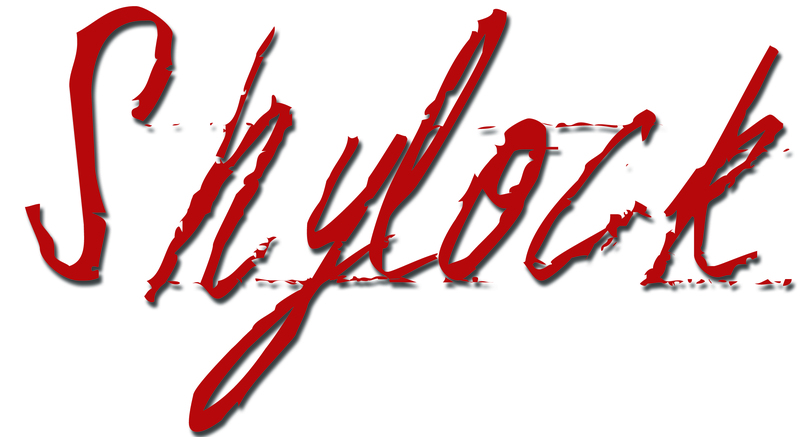 There are three main characters in this one man play, Shylock, Tubal and the actor. Who is Tubal? I hear you ask, we all did, he proudly tells us he has only eight lines in Shakespeare's The Merchant of Venice. Masterson's use of Tubal's character as our guide through the history of the persecution of the Jews, is a masterclass in historical cameos from Pontius Pilate to Hitler, as well as introducing us to the famous actors who have emulated and portrayed Shylock over the centuries. We are introduced to the pogroms of the last millennium in Europe, but he also conveys to the audience the importance of the Shylock character which became synonymous with the gentiles' image of the wandering, avaricious Jew. Masterson's performance and understanding of the character, brings us a new perspective to the injustice that the Jewish faith suffered at the hands of the European Christians. Guy Masterson presents the masterpiece that is Gareth Armstrong's Shylock in a characteristic display of exhilarating talent. The show sees Tubal (Masterson), the one and only friend of Shylock in The Merchant of Venice, lead us through the literary representation of Jews throughout history focussing, of course, on Shakespeare's infamous villain. Shylock! Shellach! Shakespeare's looming, incredible, irritated, wounded, evil(?) and only Jewish man in all his works. Sorry. I'm forgetting Tubal. Guy Masterson, as Tubal/the actor playing Tubal, this piece's sole performer, will not let you forget Tubal. Tubal is Shylock's only friend. He has only eight lines, but he is, this production contends, vital to Shakespeare's The Merchant of Venice and vital to Shylock. On a set with five hung banners behind, each spattered with words for Jews in numerous languages, we are taken through the history, the performance and the character of Shylock. Writer/Director Gareth Armstrong gives us four narratives: that of The Merchant of Venice; performances of play and those who have taken the part of Shylock; the history of Jews within Europe, how that relates to the origins of the play and how Shylock has been perceived in relation to those points in time; and finally, the narrative of Tubal, our guide, who Armstrong has in the back of Shylock's scenes (silent, of course) exploring his motives and machinations. It is the engaging qualities of Masterson's self-deprecating Tubal who holds these interlaced narratives together, allowing us to dip in and out of history as to when it is relevant pertaining to Shylock's speeches. For modern audiences, The Merchant of Venice is troubling for its perceived anti-semitism and it is this the performance plays on. Tubal is the fulcrum of a sympathetic reading: the information Tubal relates in those eight lines of Act III, Scene 1 show Shylock to be of high standing in the Jewish community, to have friends and, more importantly, it leads into one of Shakespeare's most eloquent speeches. And here is where Armstrong's production transcends its theatrical historiography and becomes an important piece of drama. 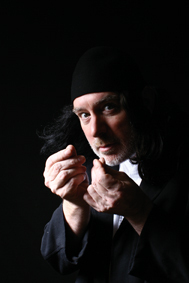 In a festival overflowing with one-actor shows, Gareth Armstrong's Shylock, performed by Guy Masterson - a much-loved master of the Fringe monodrama - stands out as a work of real quality. 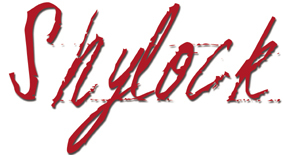 The script, which is offered to us by the character of Tubal (Shylock's Jewish friend in The Merchant of Venice), is a carefully considered combination of historical research and performed excerpts from both the Bard's play and, its predecessor, Christopher Marlowe's notorious drama The Jew of Malta. Gareth Armstrong's play is a revisionist take on the role of Shakespeare's Shylock, prompted by Armstong's experience of feeling a sense of isolation and difference when performing the role. He elevates the minor character Tubal, Shakespeare's only other Jewish character (eight lines), as our centre stage comic guide and sympathetic friend to Shylock. He takes us gently and wittily through the centuries of British performance in the context of each historic era and its attitudes to Jewry. Shakespeare's The Merchant of Venice casts Shylock as comedic villain in a romantic comedy, an essential ingredient for the times. It is our more recent perceptions that move away from this stereotype and we interpret Shylock as a tragic victim. There is a sense of deja view in seeing the Masterson /Armstrong combo involved in a production of Shylock. Twelve years ago Masterson spotted Armstrong and his play and brought them to Edinburgh; this year Armstrong is directing his former producer in the role he himself created. Against a background of hanging cloths covered with words that mean 'Jew' or 'Jewish' in different languages, Fringe veteran Guy Masterson in Gareth Armstrong's Shylock weaves a tapestry of rich threads from historical incidents of Jewish persecution, the playing of Shylock during the four centuries since his creation and excerpts from Shakespeare's text itself whilst also telling the story of The Merchant of Venice. These fine images are lit by charming humour and a technical design which layers scenes through light and sound and plays its own part in the entertainment. Masterson is a charismatic storyteller with an attractive energy, dry wit and accomplished acting ability. The information neatly woven into the show is clearly delivered, with a twinkle in the eye here and a moment of stricken thought there, via witty anecdotes within a strong structure. Our very personable guide is Tubal, friend to Shylock, who makes much of the few lines given to him by Shakespeare (eight all told - you will remember that). This allows Masterson to examine the full play and the part of Shylock as well as delivering Shylock's famous lines without being tied to playing that somewhat difficult personality throughout. The ease of delivery, while it has times where the performer seems to find the words just in that moment of speaking, might actually gain extra texture from a little less smoothness and more 'moment of inspiration' playing. Part of Masterson's charm, though, is in this easy flow of words and the style remains when he adlibs, so it is clearly an aspect of the man himself. Another aspect that would be fascinating to see developed occurs when he dons the traditional Jew mask and ginger wig for that most famous of Shylock's speeches, "Hath not a Jew eyes?". There is an extra dynamism to the physicality here that would be interesting to see subtly changed rather than totally removed, though the way in which Masterson plays this speech is nonetheless effective. The Merchant of Venice was likely fairly straightforward in its original playing as a comedy but it has developed a racial complexity since then due to the character of Shylock. He is clearly the villain of the piece - originally part of a tradition of comic caricatures - yet Shakespeare gives him an incredible speech that cuts to the heart of human respect, empathy and understanding, striking at the way in which people can view others as less-than-human simply for being different. The protagonists of the play can no longer be viewed only as heroic lovers and friends, but now are stained by their treatment of someone different from them, despite the fact that - in the end - Shylock is one who seeks another's death and is not in himself a particularly pleasant person. 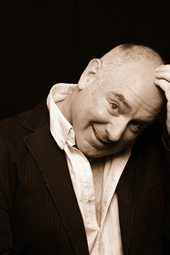 Fringe fixture Guy Masterson celebrates his eighteenth successive Edinburgh (and his fiftieth birthday) by performing the solo in a show he first presented in 1998. Tubal has eight lines in The Merchant of Venice, whereas Shylock, Masterson reminds us, is as big a Jewish deal as Moses or Barbra Streisand. Standing in the shadows of this character - variously seen as a monster, a religious victim, villain and devoted father, and one of the great tragic roles - Tubal/Masterson can put him in context, discuss the challenges and rewards of playing him. On the way, we have a pocket digest of the play itself, its most famous speeches, as well as the trial scene and the dying fall in Belmont. The Jews were expelled from England long before Shakespeare wrote the play, so it's fascinating to see how he melds the bogeyman status of the mercantile Jew (though of course the title refers to Antonio) with his own humaneness. 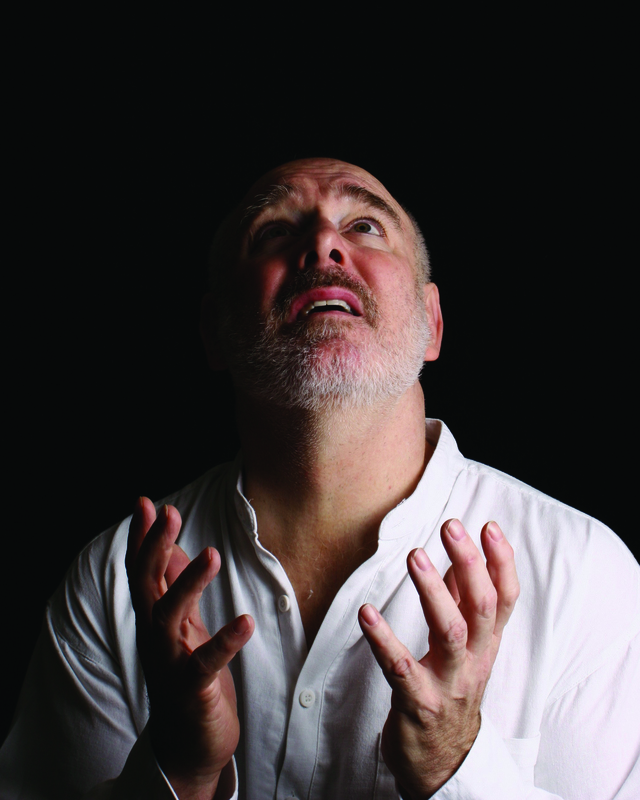 Guy Masterson has made his name presenting high-quality one-man shows internationally and on the Fringe and this production is nothing less than you would expect from a performer of his experience and expertise. The play sees Masterson take on the role of Tubal, friend to Shylock in The Merchant of Venice and the only other Jew in the Shakespearean canon. This set up, which enables Masterson to comment on the play from the fringes of the action, works very neatly, and the actor builds up a real personality for a character who has only eight lines in the original drama. Alongside the textual analysis and dramatic set pieces runs some absorbing material relating to the persecution of the Jews throughout history and the logistics of Shakespeare's company at the Globe. Some of these stories might come across as dry in less capable hands, but Masterson keeps the audience engaged and weaves the show's several strands together to make a persuasive and theatrical piece of work that also offers plenty of laughs. A tour de force. Guy Masterson's performance is brilliant. Not to be missed.. Beautifully written, full of insight (assisted by some deep research) and performed to perfection. I'm not a Shakespeare lover, but the extracts spoken from the original were clear and well chosen, and references to history, attitudes, events, past actors etc. very informative without becoming boring. A joy to listen to. Guy Masterson is a national treasure, not known as widely as he deserves. Shylock is a superb play, performed with humour, sensitivity and sheer brilliance by Guy Masterson, a master of the solo performance. See this is you can. You'll regret if you don't. Having studied The Merchant of Venice this year I was particularly interested and upon seeing this show felt even more informed. Something I found very interesting and intriguing was the fact that the show was written from Tubal's point of view-a character I had generally overlooked. What struck me most about Guy Masterson's performance was his energetic pace. Not once in the 1hr15mins performance did he pause for breath or take a sip of water. Without doubt the most powerful performance at the Fringe I have seen yet. I would certainly recommend seeing this. On the whole 5 stars. Excellent performance! Both educating and entertaining. Forget five stars...this is a ten star performance. Far reaching and entertaining,history,comedy, theatre lore and acting as well. Four of us all enjoyed it. Excellent. Not something we have seen before and thoroughly enjoyed by all our party even those who were not familiar with The Merchant of Venice. An impressive performance by Guy Masterson who brought different characters to life before our eyes. An interesting twist by the playright to make Tubal the narrator of the piece. All in all a good piece of theatre. Excellent. 5 stars from me. Masterson is masterful. Wonderful performance! A brilliant performance. He takes a refreshing, deep look at Jews in Shakespeare (and else where). Wonderful! This was a very clever production. Guy Masterson acted out what was really a lecture on the placement of Jews in plays with particular focus on The Merchant of Venice. He moved the show along with changes in his costume picked from his hamper. The vivaciousness of his performance was intoxicating albeit, very intellectual but not too highbrow to be exclusive. Powerful. Recommended. Excellent. Guy Masterson's energy and wit carry you through a wide-ranging and thoroughly researched narrative, without allowing the pace or the audience's attention to flag. A show that is informative, thought-provoking and very likeable - not too common a combination. If the name Tubal doesn't ring any bells it's probably because he only makes only a fleeting, cameo appearance in The Merchant of Venice. Guy Masterson, however, brings him centre stage and into the spotlight to illuminate the magnificent and extravagant stage representation, Shylock. Much ink has been spent upon The Wandering Jew. He appears in a thousand theses and discussions. Events of the 20th Century have infected the audience response. Graffiti daubed sheets hung above the stage and uncomfortably in our minds. But back to Shakespeare. 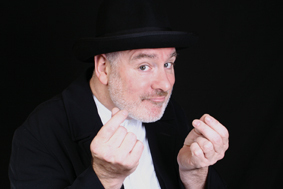 There is distinctively jaunty Jewish music playing, Guy Masterson exudes warmth with a natural gift for storytelling. There is play on the friendship between the two Jews with characteristically self depreciatory humour and woven into this, a potted dramatic history revealing the sources of The Merchant of Venice. The main outline is derived from Ser Giovanni, Il Pecorone, the caskets taken from Gower's Confessio Amantis and the daughter from Marlowe's The Jew of Malta. 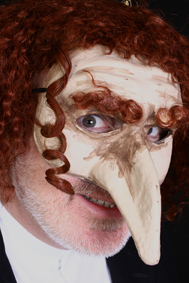 Energetically playing through the role using the Commedia dell'Arte red wig and bottle nose of Pantaloon, Masterson casts an eye back to the long tradition of portraying Jews as comic villains in the Morality plays. We're kept on track with the plot whilst taking Shylock through the ages. Charles Macklin 'The Jew that Shakespeare drew' ferocious in mid 1700's, Edmund Kean early 1800's playing him flawed but human, full of racial pride ('Hath not a Jew eyes?') and Victorian, Henry Irving's intellectual stab at it. The most enduring image I was left with was as Shylock exits humiliated, he turns and pauses to wipe spit from his cheek then drops his white handkerchief to the ground. The post performance discussion covered motives, themes and interpretations. Shakespeare was a dramatist and drama is about the clash of ideas, the conflict between, and indeed, within characters. Such a great dramatist that into the fifth century after he wrote and performed The Merchant of Venice a disparate group of people have gathered to talk about the ideas he throws up in the air. Such a wonderful opportunity, such a privilege to meet Guy Masterson's Shylock. Having just seen CIT's Adolf, it was an interesting experience to go straight on to see Shylock. The commonality in themes linked the two productions yet the presentation of the anti-Semitic message was extremely different. Although Shakespeare's title, The Merchant of Venice, refers to Antonio, it is the Jewish money lender, Shylock, who is the best known character. Guy Masterson introduces himself as Tubal, a minor character in Shakespeare's play, a friend of Shylock and the only other Jew in all of Shakespeare's works. With only eight lines in the play he has time to observe those around him and they way in which they treat Shylock and he treats them. Masterson switches between Tubal and the actor playing the role, then expands the compass of his musings to stretch back over centuries of anti-Semitism, through Shakespeare's play, its history, the theatre in general and in reality. He places the play in the context of the time when it was written and the situation facing Jews throughout Europe. He goes back to Pontius Pilate, the persecution and expulsion of Jews from Europe, Barabbas, Christopher Marlowe's The Jew of Malta and the way in which he and Shylock were first portrayed through to the change in that portrayal over the years by the various famous greatactors of the past. Guy Masterson arrives on stage not as Shylock, the Jewish moneylender in Shakespeare's The Merchant of Venice, but his good friend Tubal. Herein lies the first of many surprises in this one-man play for lovers of history, language, politics, theatre, acting and Shakespeare. Tubal has only eight lines in The Merchant of Venice. In this work he's co-opted by Welsh playwright Gareth Armstrong into the role of observer, analysing Shylock's function in the play, where he fits in the long history of anti-semitism, and how an actor can make him a figure of scorn or sympathy. 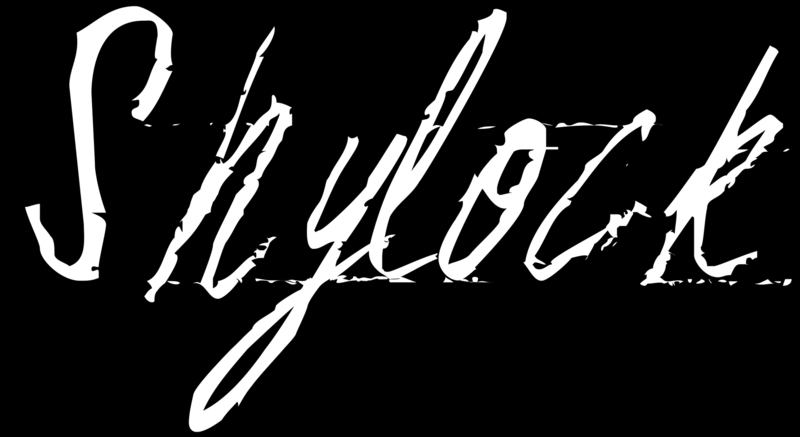 The graphic set of giant banners covered by the word 'Jew' in dozens of languages hints that this will be something more than an evening with a single character; and 'Shylock certainly does not disappoint. Writer/director Gareth Armstrong has created a performance vehicle that examines not just a character and its motivations but looks beyond to the treatment of the Jew in theatre and culture. Guy Masterson commands the stage as master storyteller, impersonator and performer, delivering Armstrong's lovingly crafted text with articulate panache. A bravura performance. You don't need ever to have seen Shakespeare's The Merchant of Venice to enjoy Guy Masterson in Shylock. The actor who has performed in previous fringes in Under Milk Wood and Animal Farm is just as dynamic in this monologue written and directed by Gareth Armstrong. Masterson plays Tubal, friend of Shylock in the famous play. Dressed in suitable Venetian or whatever attire, Tubal entwines the history of the performance of Shylock with the even older history of Jewry in Great Britain. It is unlikely Shakespeare even met a Jew because they were banned - interesting stuff like that. Tubal recites Shylock's famous lines in the play giving in brief the entire plot including the play's origins. Masterson creates the atmosphere of a full production, he singlehandedly does the dialogue of both Portia and Shylock in the climatic courtroom scene. He is no longer a young man yet he performs with impressive physicality and with dancing magical gestures. Lowdown: Tubal is given more than his original eight lines in the Shakespeare play, The Merchant of Venice, as he narrates the lengthy history of his good friend Shylock. Guy Masterson gives an intimate performance guiding us through Shylock's psyche, motivations, thinking, and reasoning as one of the most famous villainous Jews in fiction. Or is he a victim? The recitation is interspersed with footnotes about Shylock's creator, Shakespeare; his inspiration, the Jew of Mestri in Ser Giovannai's Il Pecorone; and the original villainous Jew, Barabbas. He re-enacts scenes from The Merchant of Venice to reiterate his argument- he gives an intense and deeply moving performance that radiates energy and zeal. Tubal greets the audience cheerfully and gives a comprehensive summary of The Merchant of Venice all the while lamenting the fact that he only has eight lines in the entire play - but eight very important lines, for he is the strong and silent type. But in this one-man show, Tubal is larger than life in giving his thesis on the infamous Jew and personal friend. He gives a discourse on the actors throughout time who have represented Shylock including Shakespeare's good friend and muse, Richard Burbage, Irishman Charles Macklin, and Edmund Kean. Moving swiftly through guises and characters, Masterson confronts the stereotypes and thwarts the common misconceptions about Jews always coming back to Shylock and using his character to exemplify his arguments. The audience is left with a complete understanding of "The Merchant of Venice" and the complex nature of its antagonist. The script is enlightening, honest and precise, if a little repetitive on the subject of the play's namesake, and it prudently avoids lamenting the persecution of the Jews; Tubal also takes this opportunity to bemoan his eight lines strongly procrastinating his solo performance of the key scene in The Merchant of Venice. Masterson however, delivers the lines masterfully, conducting himself swiftly through the multiple personalities entertaining, moving and delighting the audience. 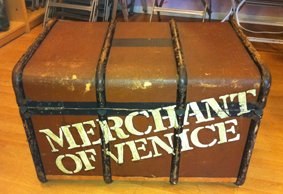 The simple props force us to focus on Masterson the entire time - the stage is simply adorned with a chest emblazoned with The Merchant of Venice and contains Shylock's costumes. 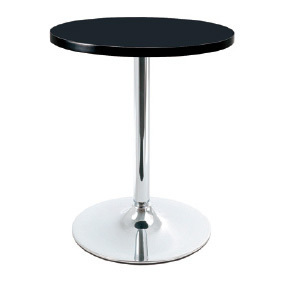 The spindle-legged table and chair are Tubal's only props with The Bible, a well-thumbed copy of The Merchant of Venice, and a copy of Il Pecorone. A small box on the table holds a number of badges that Jews have been forced to wear long before Hitler came into power. The five drapes in the background covered almost offensively with the word "Jew" in all its forms and dialects complements the intense and passionate performance that Masterson bestows. Although the lighting serves to differentiate the various personas and characters that Masterson transforms into, it was used to great effect to reiterate Tubal's dialogue and alter the unchanged scene. On a stage which just minutes before had been adorned with swastikas as the backdrop for Adolf, Guy Masterson - well known to Adelaide Fringe audiences for the high quality and energetic productions of several hit one-man shows from previous years - appeared to present the somewhat juxtaposing, yet also complimentary, story of Shylock, the Jew from Shakespeare's The Merchant of Venice. However, it is not Shylock who enters the space and addresses the audience, but his best friend ('okay, only friend') Tubal. Or, more accurately, the actor who plays Tubal - he who has been lumped with 'second soldier from the left' for an eternity and is now delighted to find that he has a part with a name. Masterson gives the character a child-like exuberance, maintaining high energy levels and a cracking pace throughout. He inhabits the stage space and keeps the audience on their toes. The interval does interrupt this flow somewhat, but is undoubtedly necessary for Masterson to catch his breath. From the moment the lights dim and Guy Masterson commences, I am transported into the world of Shylock. Playing the role of Shylock's friend Tubal, Masterson recounts the story of Shakespeare-s famous moneylender, one of literature's most well-known Jews. Using The Merchant Of Venice as a springboard, Masterson takes the audience on a wide-ranging journey that considers Jewish characterisation in print and on stage throughout history, visiting the worlds of the Old Testament, Barrabas (the Jew of Malta) and Count Dracula. The broader, and more important, issues of marginalisation and persecution of Jewish people are woven into the narrative, and applied with Masterson's usual skill. This is, on surface level, a humorous piece, although the serious elements of the major themes are not overlooked. The balance is near-perfect. After obtaining a Joint Honours degree in Biochemistry and Chemistry from Cardiff University in 1982, Guy studied drama at UCLA's School of Drama and started as an actor in 1985 in Hollywood. He returned to the UK in 1989 to study further at LAMDA. Following a conventional start in plays, film and television, Guy began solo performing in 1991 with The Boy's Own Story and thence Under Milk Wood in 1994 and Animal Farm in 1995. He first produced/directed in 1993 with Playing Burton and participated at the Edinburgh Festival for the first time in 1994. The following 23 seasons saw his association with some of Edinburgh's most celebrated hits, and his company became the Fringe's most awarded independent theatre producer - garnering 8 Scotsman Fringe Firsts, 3 Herald Angels, 25 Stage Award nominations (including 4 wins) together with numerous lesser awards. He was the force behind Edinburgh's 3 biggest dramatic hits 12 Angry Men, One Flew Over The Cuckoo's Nest (2004) and The Odd Couple (2005). His 2010 production of Morecambe transferred to the West End and won a Laurence Olivier Award for Best Entertainment (plus another nomination for the actor playing Eric). At Edinburgh 2014, his epic 30 actor production of Animal Farm with Tumanishvili Film Actors Theatre of Tbilisi, Georgia, won the Stage Award for Best Ensemble. As a performer, he was nominated for The Stage Award for Best Actor for A Soldier's Song (1998), Under Milk Wood in 2003, Shylock in 2011, and won in 2001 with Fern Hill & Other Dylan Thomas. He received Edinburgh's most prestigious accolade, The Jack Tinker Spirit of the Fringe Award, in 2003. At Edinburgh 2016 he created his first overtly stand-up comic piece, Barking Mad! which since toured to Australia. Most recently, at Edinburgh 2017, he directed Hollywood star, Michael Brandon in his debut stand-up piece Off Ramps. His theatrical commitments have largely kept him out of mainstream film and television, however, he has made the obligatory appearance on Casualty (Christmas Special 2004) and has been the Franziskaner Monk - the main character of a premium German beer - since 2007. He also writes plays, screenplays and poetry. Since graduating in Drama from Hull University, Gareth has combined the roles of actor and director throughout a career that has taken to him to over fifty countries. From an early association with Shakespeare through the National Youth Theatre his roles have ranged from Romeo to Richard III, and from Puck to Prospero. He has been a member of the Royal Shakespeare Company and worked at Shakespeare's Globe and in the West End. Gareth was a founder Director of the Made in Wales Stage Company, presenting new Anglo-Welsh plays, and was an Artistic Director of Cardiff's Sherman Theatre where he directed classics, new plays and the modern repertoire. As a freelance he has directed in theatres all over Britain and has worked as a guest director in Europe and America. He was an Associate Artist at Salisbury Playhouse, and works as an Associate Director of the US based company, AFTLS, which tours and teaches in campuses across the States. He performed in his own one-man show, Shylock, for ten years and the play, which has won several international awards, has been translated for the stage into Italian, Spanish, French, and Russian, filmed for Dutch television and broadcast on Romanian radio. He now specializes in directing other solo performers, and his book on the subject - How to do a Solo Show - has recently been published by Nick Hern Books, who also commissioned his first book, A Case for Shylock - Around the World with Shakespeare's Jew which has a foreword by Judi Dench. I have been fascinated by the character Shylock since I first saw The Merchant of Venice in 1985 at the age of 13. I was thrilled whenever he appeared and disappointed he was only in one third of the play! 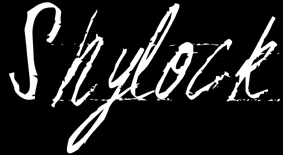 I, like many others, had wrongly assumed that Shylock was the merchant of the title and disappointed that his story was over so quickly. Even so, I still thought of his as the 'starring role' because it was taut, dramatic, powerful and moving. Conversely, I found the characters of Bassanio - the romantic lead and, dare I say it, Portia - the heroine - as hugely disagreeable, lying cheats, and felt very strongly that Shylock had been rather harshly treated. I didn't see the play again until the writer of Shylock, Gareth Armstrong, asked me to co-produce this play with him in 1997. He was playing Shylock for Jonathan Church at Salisbury Playhouse and was so intrigued by his research into the character that he'd decided to write it. Gareth's portrayal of Shylock in The Merchant at Salisbury was powerfully implaccable, frustratingly determined, yet always full of integrity and entirely human... and this had the effect of making everyone else in the play even more monstrous than I had remembered! Having now worked on Shylock and performed him for 5 years, I now beleive that Shakespeare's Merchant of Venice is actually a supremely crafted piece of 17th Century anti-racism, but which, due to its probably deliberate ambiguities, has often been misinterpreted by its audience. Indeed, through the centuries, Shylock, was normally presented as a comic villain caricature illustrating the popular view of Jews at the time.. Yet, there is enough overt anti-Semitism and victimisation in the play to give Shylock more than adequate reason for behaving the way he does. The resultant caricature might be monstrous, but his reasons for seeking revenge are undeniable. He wants his day in court. And for those who think of Shakespeare as a closet anti-semite, I like to think that he perhaps wrote one more scene where Portia and Antonio showed remorse for their mistreatment of Shylock... but then decided to leave it on the cutting-room floor as a subtle yet scornful revenge on the racists, for, regardless of how the groundlings would have reacted to Shylock as a comic villain, his mistreatment - as representative of the overt discrimination of the time - and Shylock's plight, would not have been lost on the intelligencia. Perhaps with the exception of Hamlet, more has been written about Shylock than any other Shakespeare character. Many scholars strive to disprove the perception that their playwright idol could have been an anti-semite in creating such a vengeful character and Shylock continues to perplex, infuriate and fascinate academics, audiences and theatre professionals alike. Many find the plot and characters of The Merchant of Venice uncomfortable, and directors often attempt to soften the character by cutting or distorting the text. As a play, The Merchant of Venice is ostensibly a romantic comedy about the wooing and winning of the heroine, Portia, by the hero, Bassanio, but the sub-plot of the Jewish moneylender who demands a pound of human flesh in return for an unpaid debt is so theatrically potent that it dominates the plot. Indeed, Shylock, with only five scenes and less than a quarter of Hamlet's lines, hijacks the play. For actors, Shylock is a magnet of a part. After playing it, all too briefly in at Salisbury Playhouse in 1997, I found I couldn't let him go and so made him the subject of this play. My fascination of the man is his position as the ultimate outsider in a hostile world. The other characters, with the exception of his only friend Tubal, talk at him, not to him, so his ghastly desire for revenge is the reaction of one who feels impotent and rejected by society, a phenomenon we are all too aware of in society today. I find it difficult to like Shylock as a person, but have come some way to understanding him. 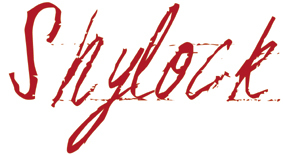 The Storyline: Through the character of Tubal, Shylock's erstwhile friend inThe Merchant of Venice and "the only other Jewish man in the whole of Shakespeare", Shylock's extraordinary role is explained in the context of both, the play and the way in which Jews have been treated across the centuries. It is a definitive piece of educational theatre: From the Gospel of St Matthew to the present, Jews have been subjected to exclusion, expulsion, The Blood Libel and The Holocaust. The manner in which Shylock has been portrayed across the centuries has reflected the popular opinion of Jews. Students get an insight in to the social and political context of the period, as well as into the characters of the play. Students of Literature and Shakespeare are treated to an exploration of the origins and influences of his work and the subsequent incarnations of the The Merchant of Venice over the centuries. Themes include religion, religious persecution, racism and theatre itself, making Shylock a rich and fertile source of historical, literary, theatrical and religious education. All images are of high enough resolution for publication at normal sizes. Downloading times are dependent on your modem speed. Running the show involves following the script with explicitly numbered and light and sound cues. Script provided on day. Rehearsal time with technician 1 hour. Sound effects in 10 prelevelled cues are pre-mixed on Apple Laptop. (mini-jack to desk input lead needed) GOOD STEREO equipment & desk required. If driving, the company will bring company will bring Table, Chair & Trunk. 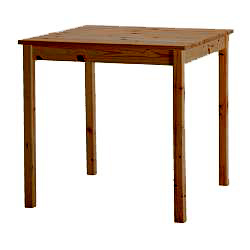 If coming by ticketed transport, Guy Masterson will require locally sourced set pieces (see pics above) 1 Table (either square or Round), 1 large travelling trunk OR wicker basket, one wooden chair. Clean black tabs and backdrop. If the stage is very scuffed, please repaint or lay dance floor. Special notes: From experience, it is best to set the A spot first which should be focused to encompass a 2m tall man standing (about 450 from vertical - just upstage of the proscenium).The E state (Lee 117 wash) should light an area to within 1m of the sides of the playing space, but all the way to the front, so as to create a pool of blue light effect (Try not to spill onto backcloth). The C (Lee 103) warm general cover is self-explanatory but please include back and top light. Guy Masterson will require a clean dressing room with ironing & tea making facilities. Please provide refreshments for 4pm. Please ensure the shower (if available) is clean and a fresh towel and soap are available. Any queries please contact TTI on the above numbers. IF ALL LX CUES ARE PRE-PROGRAMMED THIS PRODUCTION CAN BE OPERATED BY ONE COMPETENT TECHNICIAN. (SOUND, LIGHTS and MIC ARE GO BUTTON OPPED AND ALL SFX ARE PRE-LEVELLED.) BUT... IF SOUND AND LIGHTS CANNOT BE OPPED FROM SAME AREA, THE SHOW WILL REQUIRE TWO OPERATORS. Rehearsal time with venue operators after focus: 1.5 hours max. Image of ideal trunk. Openable. 90cm x 90cm x 45cm. Wicker basket of similoar size also suitable. OR Two large old looking suitcases. 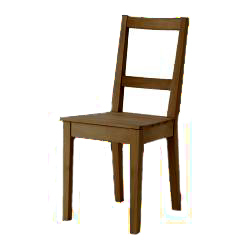 Image of suitable wooden chair required when company is travelling by rail or air.